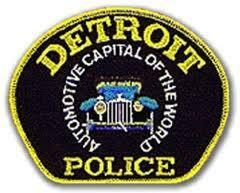 Detroit Police Chief Ralph Godbee is reorganizing his department to try and put more officers on the streets. To do that, Godbee is eliminating some desk positions and moving those officers out on patrol. That means citizens will now report what police call “non-emergency crimes” to a Telephone Crime Reporting Unit—rather than directly to an officer. Godbee says the moves will free up more officers to respond to serious crimes. But it also reflects the reality of a department that has about 30 percent fewer officers than it did 10 years ago. These organizational changes, and a few others, will be piloted over the next month in the city’s northeastern district. Deborrah Landry, who does citizen patrols with an area block club, liked what she heard from the Chief. Landry said she was relieved that Godbee shot down widespread reports that precincts would close in the overnight hours. Godbee said given the city’s budget troubles, he is preparing more than 100 layoff notices. But he thinks the department can re-purpose some federal grant money, and ultimately avoid making those layoffs. Detroit Police say a technology known as “Shot Spotter” would help the department’s battle against gun violence. The department wants to use $2.6 million in federal money to pilot the gunshot-sensing technology system. Police Chief Ralph Godbee says it would be an invaluable tool in locating shots fired, and deploying officers quickly. But City Council members, who must approve the project, were skeptical. Councilman Gary Brown questions Shot Spotter’s effectiveness—especially since it won’t include video. “According to the Department of Justice, this is an expensive piece of equipment for…the value that you get out of it,” Brown says. Brown also suggested the department doesn’t have enough manpower to respond to all detected gunshots. The Council delayed a vote on the issue until next week.